“Either by intuition, or sound and clever reasoning, the Nizari Ismaili missionaries devised some methods which helped them to overcome such local obstacles…One was their bold tactics in separating the meaning and spirit of Islam from its hard Arab shell…They explained the high ideals of Islam in the familiar terms of ancestral religion, Hinduism….They brought the matter a step further by proclaiming Islam the crowning phase of the whole development of Hinduism. According to them, the Qur’an (together with the ta’wil system) was the last and final Ved, completing, abrogating and superseding the earlier revelations. In this theory, Hinduism was merely a preparatory phase just as Christianity, Judaism, etc., in the revelation of the only True Religion, Satpanth (lit. True Path). Thus, from a purely Islamic view point, the method of bridging the difference between Islam and Hinduism adopted by Ismaili missionaries was perfectly correct, in no way conflicting with orthodox ideas.” (quote from Ismaili Da’wa in India, by W. Ivanow, Ilm, Volume 4, Number 2). and through this moon-like Light, the Way has been made bright. Through whom is the care and protection? Know, O Brothers! The care and protection is through Nabi Muhammad Mustafa (the Chosen). and the believers have his protection over them. and the mu’min (believer) will earn the abode in heaven. then his followers will find ease (on the Day of Judgement). is as sweet as sugar and milk. Recite the Kalma with a true and sincere heart. This, indeed, will provide for you the intercession of the Prophet. and he has taught the kalma to you. but the rest, who ignore the Kalma, will be lost and, indeed, they are the foolish ones. has taken for himself the path towards the gates of hell. the Prophet (Hazrat Nabi Muhammad Mustafa) is the chief. A well established Hadith of the Prophet Muhammad states that there were 124,000 prophets, while the Holy Qur’an mentions only about twenty-five prophets. and his penance was complete. Prophet Musa was the beloved of the Lord. He always sought and prayed for the Vision of Allah. and do such deeds as he did. Finally it would be appropriate to add a few Ginanic verses which speak about the continuity of the Divine Guidance through the Institution of Imamat after the demise of Allah’s last Prophet, Hazrat Nabi Muhammad Mustafa (may peace be upon him). True, there would be no Prophet after Prophet Muhammad but God’s guidance for mankind had to continue, or else how could God’s Infinite Mercy and Absolute Justice be explained? and His Light is Eternal. for it is then that you will gain the recognition of the Imam of the time. 1. Please visit the What’s New page for all articles posted on this website. And do visit the Home page if this is your first encounter with Simerg or you haven’t viewed the latest historical photograph posted there. 2. This reading has been adapted by Simerg from an article by Hakim Vali Mohammad Surani entitled Prophet Muhammad (s.a.s) in the Light of Ginans, which was originally published in Ilm, March 1980, Volume 5, Number 4, by the Ismailia Association for the United Kingdom. 3. The concept of Imamat in Ismaili Ginanic literature will be covered in more detail in a forthcoming literary reading. 4. Further references to all the Ginans quoted in this reading are provided in the original Ilm article. Very nice, please keep up the good work and thank you. Thanks for sharing this beautiful knowledge with us. I truly got a lot of knowledge from your article. Inspiring and enlightening. Please carry forth the good work. Excellent article. Thank you for sharing. I enjoyed reading it, and the beautiful pearls of wisdom within it. This article gives us an insight as to how in the sub-continent of India, in this context Gujarat, Pirs came using the skill of Social Anthropologists of today, of living and becoming participant observers of the society that they selected for their study! They came to spread the new religious fervour or philosophy of Islam as their mission. 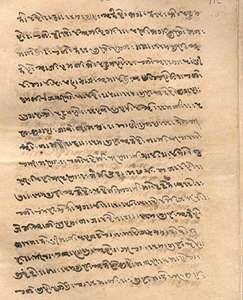 Firstly, even though they came from Farsi-speaking Sehentardip the Persian peninsula, into Jampudip India, they learnt the language and used the existing tool of poetry sung in the form of Garbi and large volumes like Salokos as cited in this article. 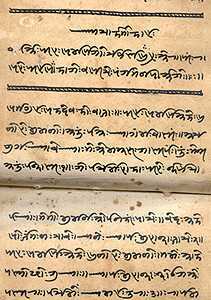 The society was submerged in the shadow of ignorance and in the complexity of ancient Hinduism. They emphasised the light of Islam spreading ‘taweel’ or the essence, not ‘tanzil’ or dogmatic and traditional practice of this great world religion of Peace and Submission to Allah. Sunna is of less importance in the esoteric form of Islam that Ismailis follow. We see the scattered imams with a small ‘i’ in the world of today, who distort and pick out ‘jihad’ as the main theme of revenge rather than that of ‘jihade kabir’ the inner cleansing of one’s soul, the most important asset of Islam! The ascetic Pirs introduced Prophet’s and Hazrat Imam Ali’s teaching without crowing themselves as pious to be obeyed, revered or worshipped. They made the populace look up to the creator, the Noor, the Light of Allah taught to mankind via the Prophet of Islam. Please forgive my shortcomings in this comment! So much learnt from this article. Excellent ! Keep up the good work and may Mowla reward you with this seva. audience who have not been educated in vernaculars. It is really enlightening. Please keep up the good work.